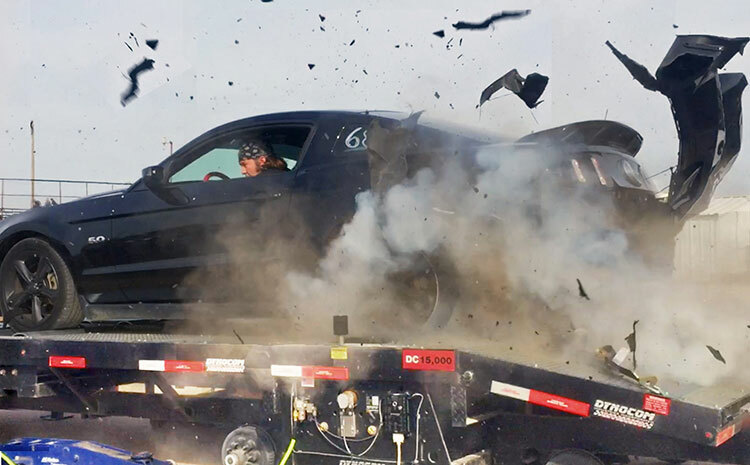 That's going to leave a mark: This driver didn't expect a tire explosion on a dyno. Crazy things can happen on a dyno, like realizing some automakers lie about peak horsepower or torque outputs. Sometimes cars slip off, catch fire or throw a rod. And then there’s this video of a Mustang blowing its driver’s side rear tire. It’s enough to scare any enthusiast. After all, how many times have you loaded your beloved machine onto a dyno such as this one? Could your tire explode, causing some fairly extensive damage, like this Mustang owner? There are many questions about this video, namely why? 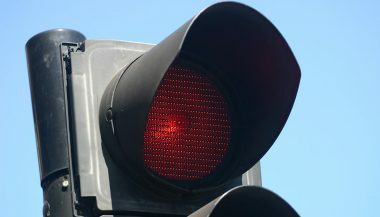 A deeper analysis of what was going on, and some possible factors behind the accident should help you avoid ever being in this same mess. Tires are fairly complex, thanks to an evolution of design that I won’t get into here. Suffice to say the tires we all enjoy today are nothing like the ones used by drivers in the early 20th century. Because they’re so complex, the reasons for a blowout or explosion can vary. One of the most common causes is under-inflation. It’s impossible to tell for sure at the beginning of the video, but the Mustang’s tires don’t appear to be grossly under-inflated. If they were, the lack of air actually spreads out the contact patch, or the part of the tire that touches the road or track (or the rollers on the dyno, in this case). The rubber, steel, composites and fabric all stretch well beyond what they’re designed to handle, which can cause microscopic cracking. In addition, the larger the contact patch, the more heat is generated through friction. This combination of stressed materials and heat can trigger a sudden eruption of energy, which would in turn melt different components near the wheel well, just like in the video. 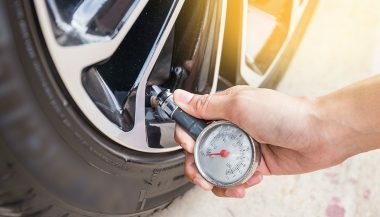 The more you’re going to push your car, the more important it is that you check tire inflation first. 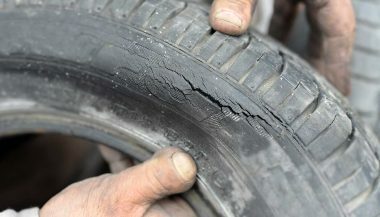 Road damage can also cause tires to burst, but most people would say that wasn’t a factor here. Truth is, the guy could’ve hit a pothole or ran over something sharp, maybe even just scuffed his rear tire against a curb a few weeks before this dyno run. Unless you had the tires inspected right before, there could’ve been almost invisible damage. As the tires were pushed to their limits, a small puncture, crease, etc. gave out and the entire tire came apart. This is why some guys have a second set of track-only tires. Again, there’s not enough information available to know if that’s what happened here, but it’s possible. Far less likely culprits involve overloading, which is when a vehicle is carrying too much weight. Unless this guy for some weird reason left a bunch of weights in the trunk of his Mustang, that’s probably not the reason for the tire explosion. Sadly, quite a few enthusiasts don’t think enough about their tires. The fact is that tires are perhaps the most unsung performance and safety components on a car, truck or SUV. You can have awesome all-wheel drive, but your car would handle like garbage in a snowstorm if your tires aren’t up to the task. The same thing goes for racing on a track, rock crawling or any other demanding situation. You really should know how to read the sidewall of a tire. It’s packed with information most people let their mechanic or tire shop worker explain to them, then promptly forget. Maybe that’s what happened here with this Mustang owner. If you read the video title, it says the explosion happened right as the little pony car reached 150 mph. That’s insanely fast on a dyno, and some rightfully wondered why this was even allowed. More importantly, you have to wonder exactly what tires the guy had on his vehicle, because that could’ve made all the difference. Americans usually don’t think too much about speed ratings. After all, getting a higher rating means dropping more cash on tires, and that’s less money for other mods. If you’re going to push your vehicle on a track (or dyno) you need to go for the best speed rating possible. 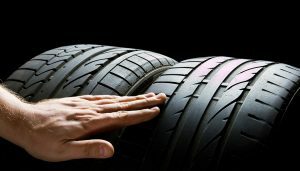 Tire manufacturers actually calculate the speed rating for each tire in a lab. They run the different tires in a speed simulator until they fail, or in other words they explode. A machine presses the tire against a big metal drum with the same amount of force as it’s load rating, creating a safe and accurate way to gauge the ability of each design. The speed rating on the tire sidewall actually tells you the highest speed you can drive without fear of exactly what happened in this video. Always know the speed rating on your tires, and never exceed that number. Considering that the lowest rating that can safely handle 150 mph is W, and those types of tires are usually sold to people with exotic sports cars and not Mustangs, there’s a pretty good chance this was the cause of the explosion. It’s important to note that tire manufacturers only stand behind their products’ speed ratings if they haven’t been damaged. Even if you’ve had your tire repaired, it could still explode at a speed lower than the rating on the sidewall. There’s no way to guarantee that a shop did a great job fixing damage, so always take that into account if you’re going to push your vehicle to the limit. There are many, many reasons to not stand near a dyno while it’s running. This video definitely adds something to the list. You never know if someone forgot to strap the car down properly, or if a mechanical fault causes a fire or a component to go flying. If you’re right next to the dyno, the likelihood you’ll get hurt in the process is pretty high. Unless there’s a compelling reason to be right there — probably not — you should just stand a safe distance away. Learn how to prevent dry rot on tires. You might think of dry rot as a problem that affects your home but dry rot can wreak havoc on your tires too.